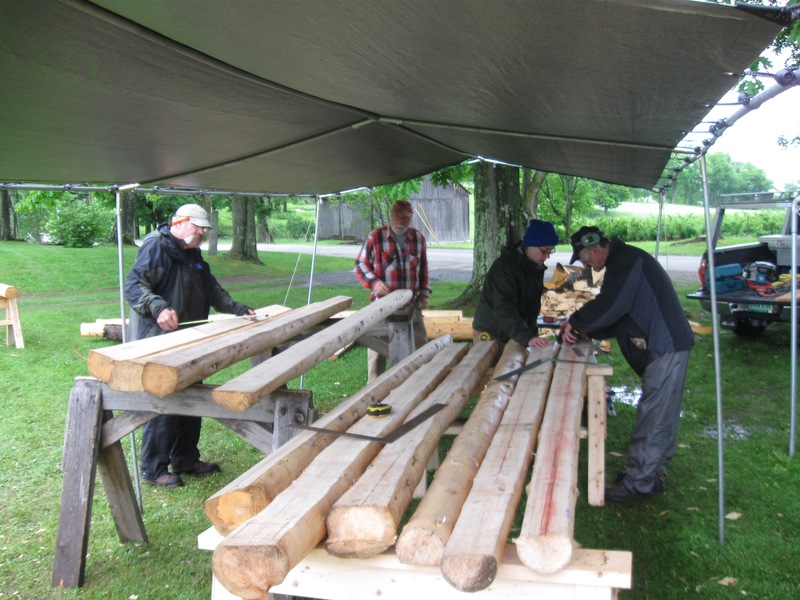 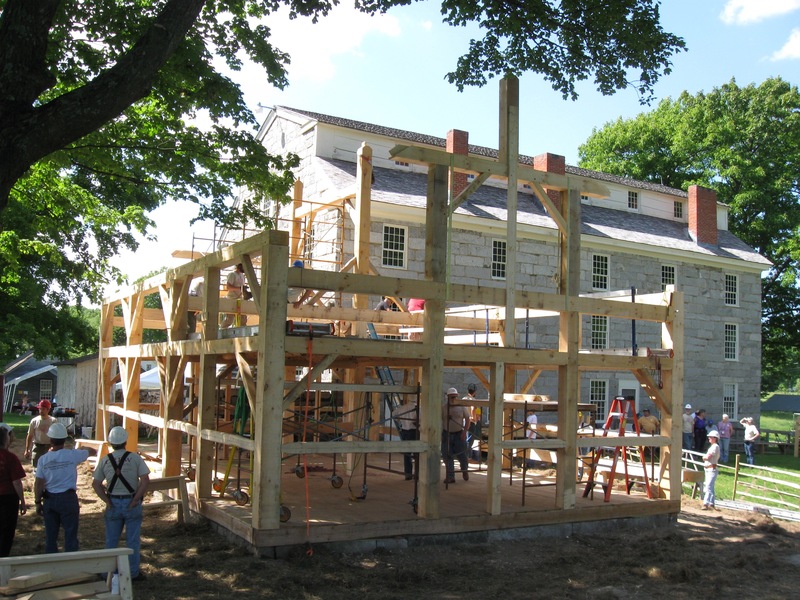 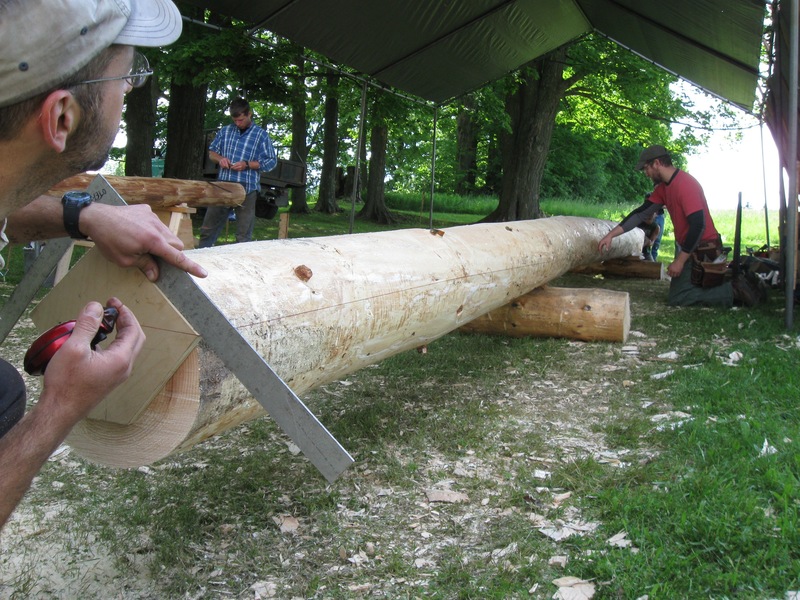 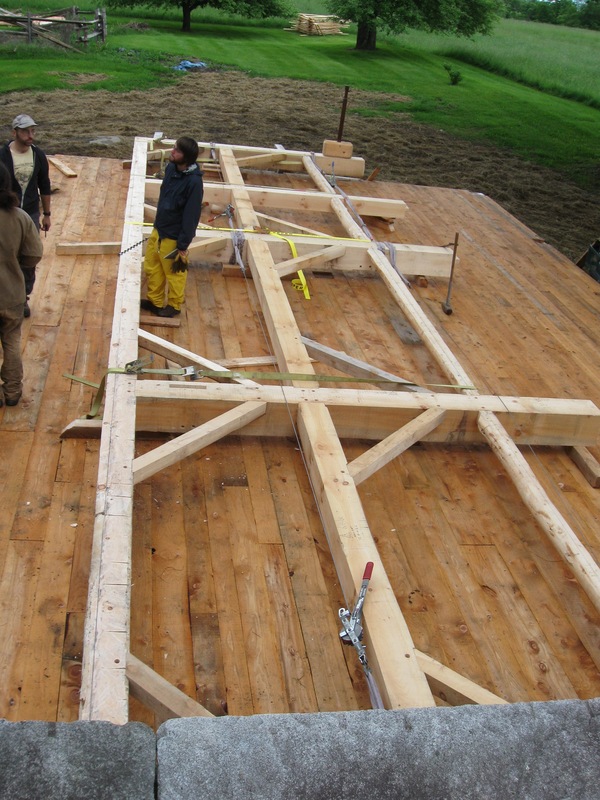 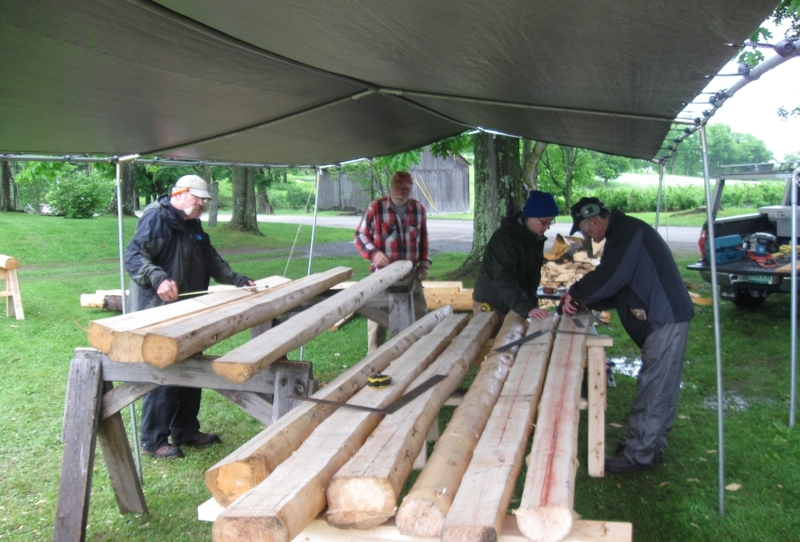 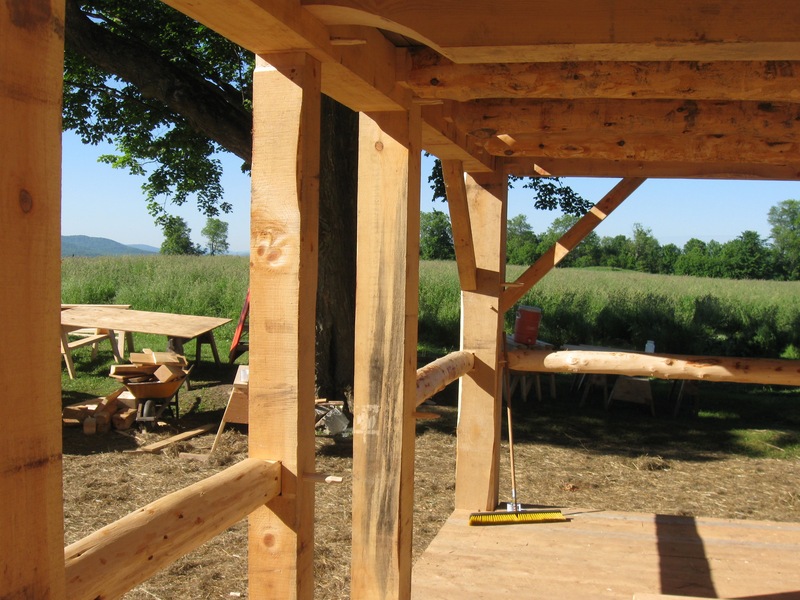 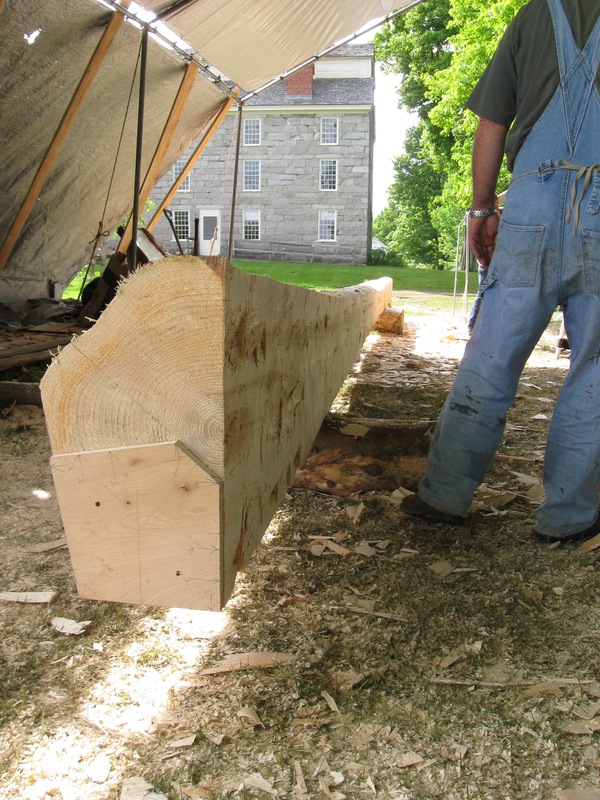 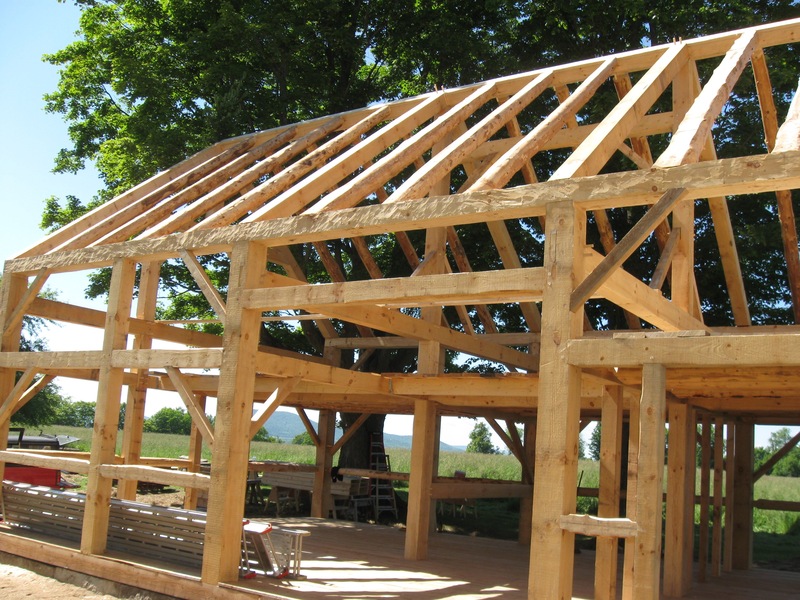 In June 2012 I did a stint in the Northeast Kingdom of Vermont as a lead instructor for the Timber Framers Guild of North America. 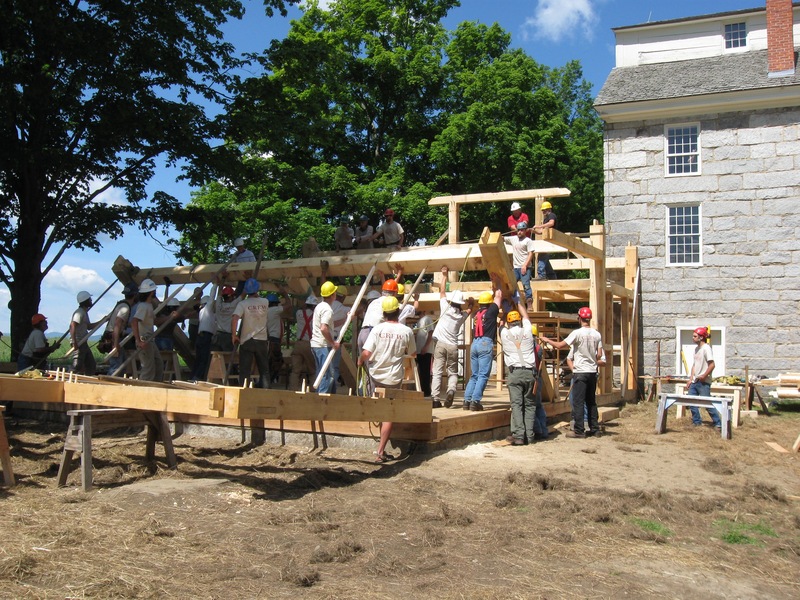 With two others, I led a crew of 20+ volunteers from all around the country as we hewed, cut, and raised a gallows-frame English barn in Brownington, VT. 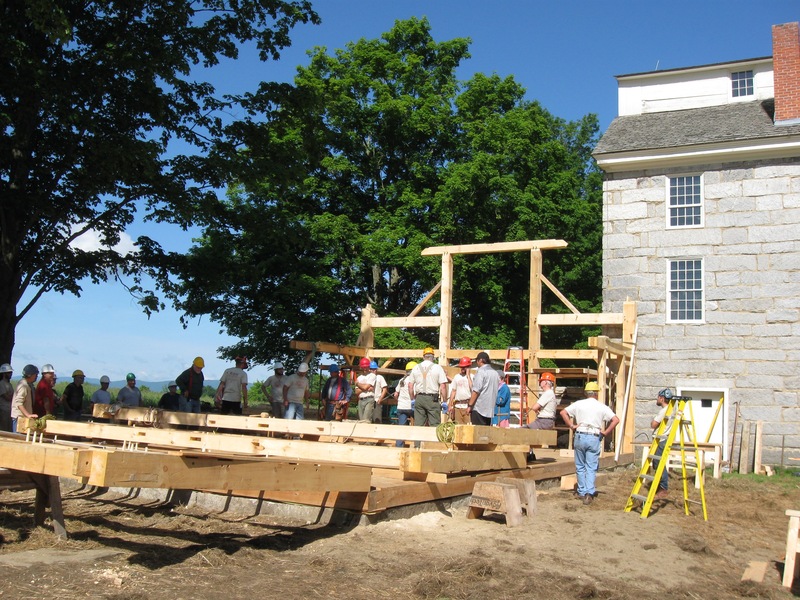 The project was done for the Old Stone House Museum, a fantastic museum of 19th-century history, including many fine buildings. 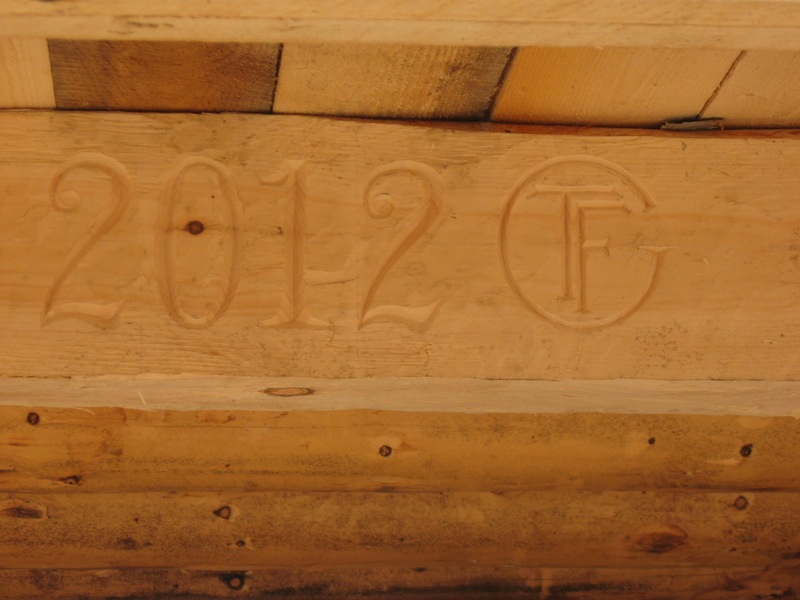 Our barn replicated the original, which had been demolished in 1910. 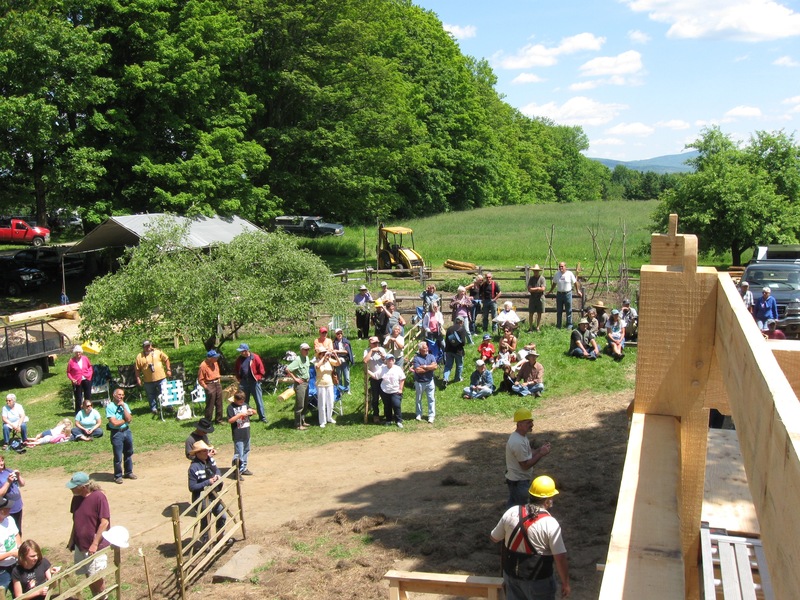 Check out the archive of daily blogs from the ground here.